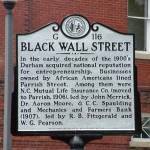 This group is dedicated to Wealth building and group economics in the black community. We are looking to increase awareness, and start dialogue that will lead to positive action and results. We welcome and encourage like-minded individuals from any country who wants to join and communicate in various languages.